My husband has been thinking about getting inked for some time now and has been extensively researching tattoo artists. He’s finally found one he likes but after getting in touch with him, it appears that there is a 3-month waiting list just to get an appointment. We have also been watching several TV programmes recently about people’s tattoo disasters. Cover up and removals of bodged images resulting from lad’s holidays to Malia or the curse of the ex-girlfriend’s name. So it is clear to me that the decision to have a tattoo is one to think about. 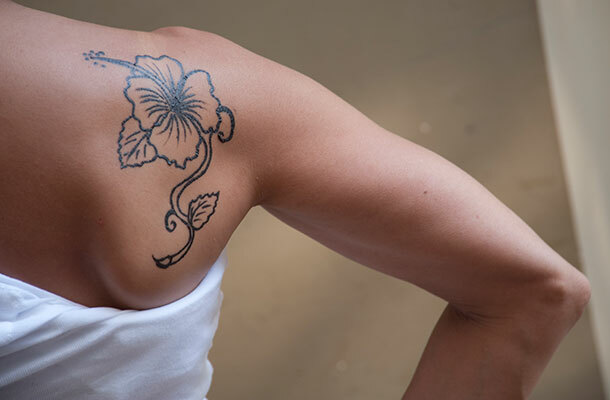 With thousands of different styles of tattoos out and about, it has been difficult to try and think of something new and unique. Many celebrities can showcase their new tats on a regular basis. Recently during the rugby World Cup, several of the Polynesian teams such as New Zealand displayed intricate designs containing a variety of chosen symbolic elements which are personal to the wearer. Original tattoos such as this have been skilfully drawn by the artist. They are in fact a bespoke piece of artistic work drawn onto the body of another person. So in this situation where an artist creates something for you that is their own intellectual creation, it does not mean that you, the person having the tattoo, owns the IP rights to it. Consequently, the question of copyright ownership may be raised. A case such as this arose in America during 2011. The creator of Mike Tyson's facial tattoo, Victor Whitmill, took legal action against the company Warner Bros. He claimed that he had not given permission for the use of a similar design on a character’s face in the film 'The Hangover Part II’. However, the dispute between the two parties was later resolved amicably. But if this is all starting to sound a little too painful, you may be interested to know that copyright is an automatic right in the UK and most other parts of the world, so there are no forms to complete and no fees to pay in order to get protection. Who's tattoo is it anyway? And as with all other forms of IP, it is possible for copyright ownership to be transferred by assigning it over to a third party. However, there must be a written agreement, signed by the copyright owner, which states that the ownership has been transferred. 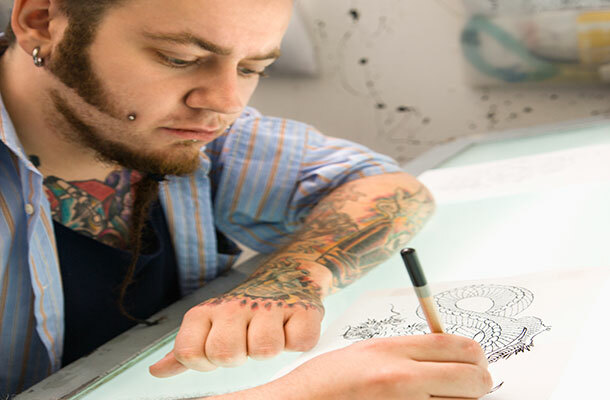 It is worth being aware that this could potentially prevent the tattoo artist from applying the same tattoo to someone else, as they would no longer hold the rights to the artistic work. Alternatively, the copyright owner could choose to retain ownership of their works and instead license others to use it. There have also been instances of tattoos used for marketing and advertising. Companies pay individuals to flaunt their logos on their bodies. This is known as ‘skinvertising’. In 2011, a barbecue restaurant in America called B.T. 's Smokehouse offered their customers free meals for life if they had their company logo tattooed on a visible area of their body. Three people accepted the challenge in 2012 and this number has since increased.